If you’ve experienced a shoulder-related personal injury or on-the-job trauma that requires medical care, your treatments or surgeries may be covered by your insurance settlement. Trust the expertise of one of the world’s leading orthopedic surgeons and shoulder specialists, Dr. Vivek Agrawal of the Arizona Center for Hand Surgery. With locations in Phoenix, the Northwest Valley, and Mesa, Arizona, Dr. Agrawal is highly skilled in shoulder injuries and state-of-the-art surgical and nonsurgical treatment options. If you've been injured on the job, contact the Arizona Center for Hand Surgery today to schedule a consultation with Dr. Agrawal. What are the most common work-related shoulder injuries? Repetitive motion, the kind you may perform at work, is a common cause of wear and tear on your shoulder joint. It can lead to shoulder strains, arthritis, tendinitis, and bursitis. Other shoulder injuries may occur from slip and fall accidents at your workplace that may suddenly tear a tendon. This can lead to your tendon separating from the bones in your shoulder. In some cases, these types of work-related shoulder injuries may heal on their own. But in other cases, you may be forced to remain out of work for an extended period and seek medical treatment for your debilitating condition, including extensive surgeries. What does workers’ compensation for a shoulder injury cover? Depending on your specific condition and how much medical care you need to repair a shoulder injury or chronic condition that occurred because of work, you may be eligible for disability and medical benefits that help pay for your treatment and lost wages. When you’re negotiating an insurance claim for a personal injury or workers’ compensation from your employer, getting an accurate diagnosis is essential for receiving the maximum compensation you need. Since Dr. Agrawal is one of the leading shoulder surgeons in the United States, you can rest assured that he provides the most comprehensive and accurate diagnosis and treatment plan for your shoulder injury. Dr. Agrawal can also help you return to your personal and professional obligations as soon as possible. He can perform any necessary treatments, including surgeries, to help you regain your mobility and lose the pain. A personal injury claim refers to an injury you sustain as the result of the negligence of another person or entity. An example would be a slip and fall injury at the local supermarket parking lot because of unrepaired pavement. As with a workers’ compensation injury, it’s important to get an accurate diagnosis and treatment plan for a personal injury, so you can receive the maximum financial compensation to cover your medical bills and procedures. Dr. Agrawal provides the most comprehensive and accurate diagnosis and treatment plan for your personal shoulder injury so you can get the health care and financial compensation you need. 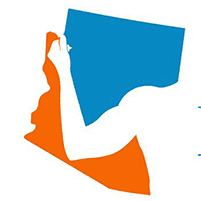 If you have a work-related injury or a personal injury that resulted in not being able to use your shoulder to perform everyday tasks, contact one of the Arizona Center for Hand to Shoulder Surgery locations today for a consultation with Dr. Agrawal.